Things I like, a semi-complete list. 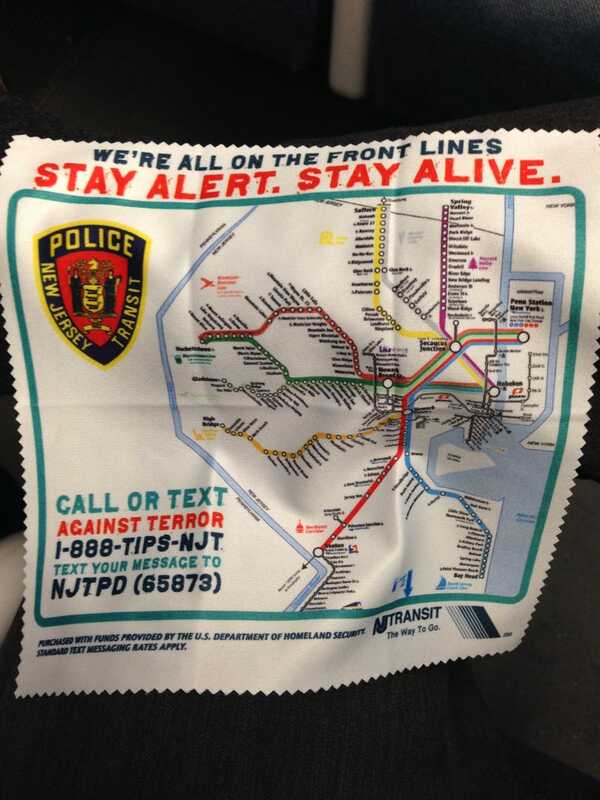 This microfiber wipe that NJ Transit gave out. It’s like “see something, say something,” but more rad, and with a blood-stained font. The fact that Jag offered so many wheels on the X308 XJ8 that instead of printing the PSI recommendations inside the door–like everyone else–they had to print them on the underside of the center console. 90s-early 00s Jag keys. Shared with the Merkur and Transit vans. Fun fact: the locks are almost impossible to pick, but any key can lock any mechanism that uses the key. Driving shoes. From left to right: Onitsuka Tiger Mexico 66s, Tod’s City Gommino loafers, Tod’s driving Gommino loafers, Bottega Veneta driving loafers, Ferragamo driving loafers. The fact that there’s a special elastic band in the trunk of XJ8s for holding the manual. Swiss Army knives. Clockwise from top: SwissCard, SwissTool, cheese knife, MiniChamp, Fireman with belt cutter, SwissChamp. This Wiha screwdriver with 42 bits stored in the handle. This keychain from the 1920s. All of these things, as kids today say, spark joy.